Progressive Pakistan Alliance (PPA) condemns attack on media in Pakistan, said a press release here in Washington DC. The nonprofit organization, with members from all over the US, has strongly condemned recent wave of attacks on journalist community in Pakistan. PPA issued statement in the backdrop of recent case against Cyril Almeida, assistant editor and columnist for Dawn, in which his arrest was ordered in a treason case with putting ban on his travel for interviewing three times Prime Minister, Mian Mohammad Nawaz Sharif. “This curb on freedom of speech is not limited to journalists; several professors in different universities have come under attack by the security establishment for speaking up on “taboo” subjects. This will further restrict critical thinking and freedom of expression in higher education, which will deteriorate an already dire situation of Pakistani education”, the statement added. 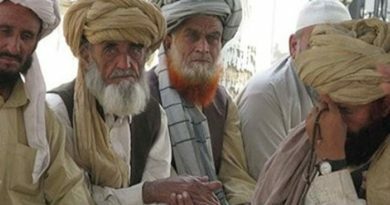 PPA statement said, “Pakistani state has established a new threshold of intolerance, protecting holy-cows”. PPA warned Pakistan’s ruling civil and military leadership that Pakistani Diaspora will not remain indifferent to these atrocities against civil society, social media activists, bloggers, journalists and university professors. Curbing free press is equal to shutting down the country’s conscience. The assault on media has become even more grave with new PTI led government’s disdain of certain news channels and media groups. In a recent meeting in Karachi, chaired by Prime Minister Imran Khan, Dawn was not invited to attend and cover the event. PPA said ‘democracy becomes a farce without a free press’. 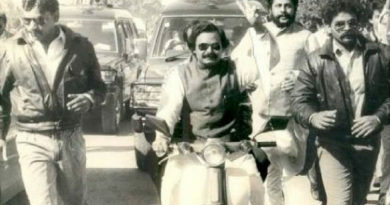 People of Pakistan have never accepted dictatorships in the past, and will rise up to resist attempts curbing press and punishing journalists. Our Association condemns harassment of the media by the Pakistani military establishment, the new government and the court. PPA demands withdrawal of treason cases against Cyril Almeida and Najam Sethi, and attacks on media should be stopped immediately. Abduction and torture of journalists, bloggers, social media activists, community activists and university professors should stop immediately. It extends solidarity with Pakistani media in their struggle for a free media and strongly condemns curb on academic freedom. It demands complete academic freedom. The organization urged the US government, Congress and Committee to Protect Journalists to take notice of this situation. 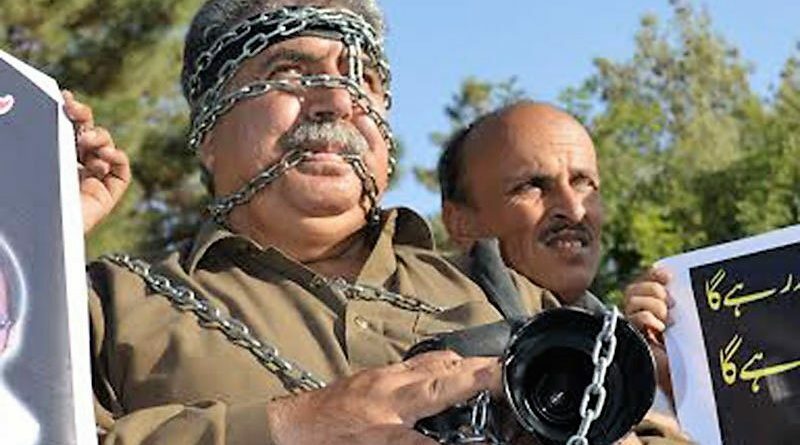 They demanded from Pakistani government and the security establishment to immediately stop harassment of journalists, social media activists and lift media censorship. The Pakistani media has resorted to a style of self-imposed censorship in wake of recent intimidation tactics by the security establishment. Dr. Ghazala Kazi, a spokesperson for the organization, said that they want the Pakistani government to know that they will not tolerate an assault on the media.